For those of you who remember me during my boot days of 2005, this picture might seem like Groundhog Day to you, but really, it isn’t. 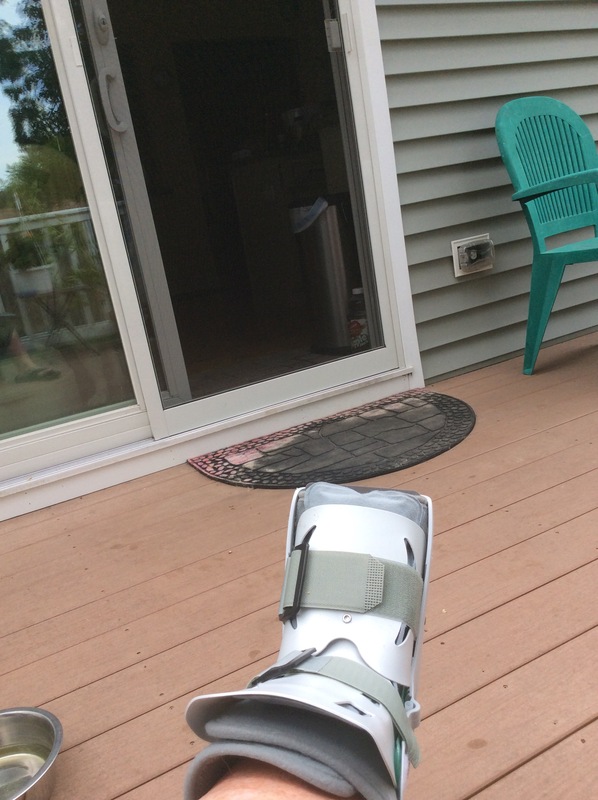 So, I guess my summer is extended another 4-6 weeks while I try to heal up. Ughhh 😕. No fun. Hope your healing goes well & your pain subsides soon, Marian. Sending hugs! Thanks Sue.. Makes me determined to get my self into shape!